The maps below may require special software to view. They are provided as a courtesy and the Town makes no representation as their accuracy. Waitsfield Lotting Plan, 1816, drawn by Edmund Rice or JPEG. 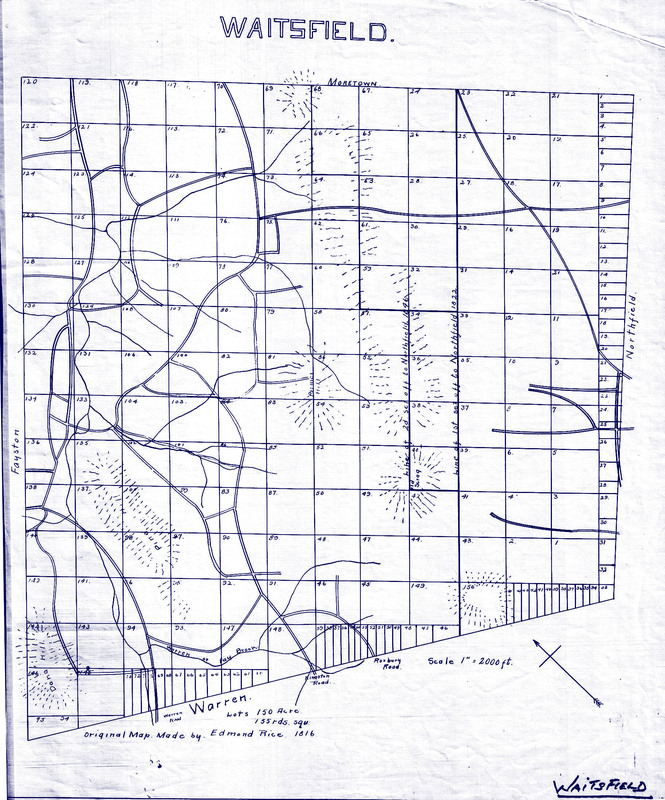 The lotting plans divided land among the original proprietors of the town who may have settled on the land or sold it. 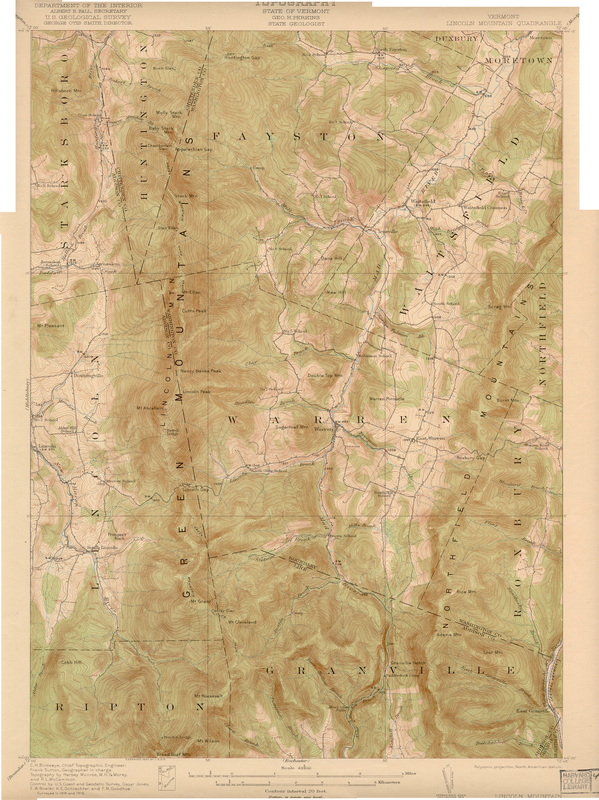 Waitsfield-Northfield Beers Atlas, 1873 -- available at the Joslin Memorial Library. 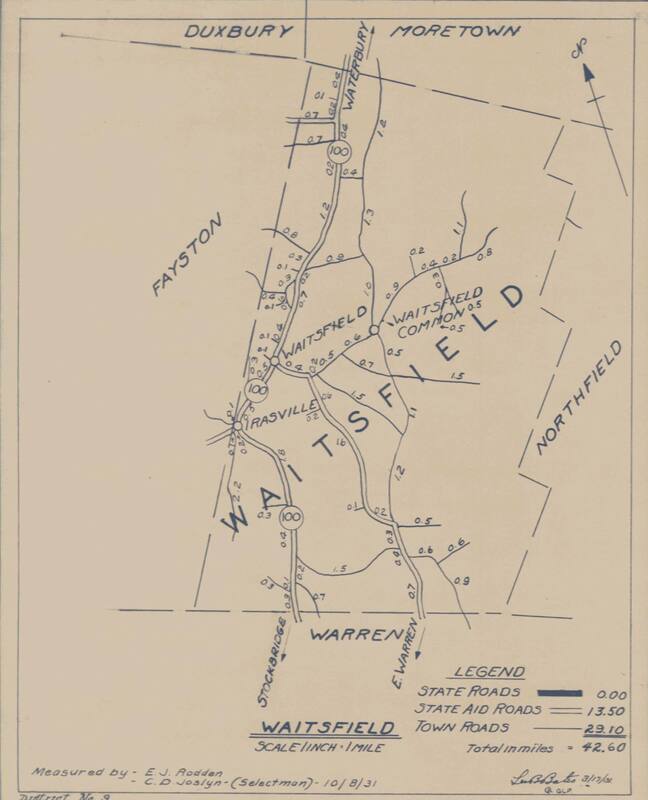 Waitsfield and Northfield Walling Map, 1858 -- available at the Joslin Memorial Library. Tax Map - See link at the Vermont Assessor Web site.